When entering to Helsinki by airways it’s inevitable to pass through one of the most famous creations of architect Pekka Salminen. He is the President and the founder of PES-Architects and has worked as the Head of International Relations of the company for the past 10 years. 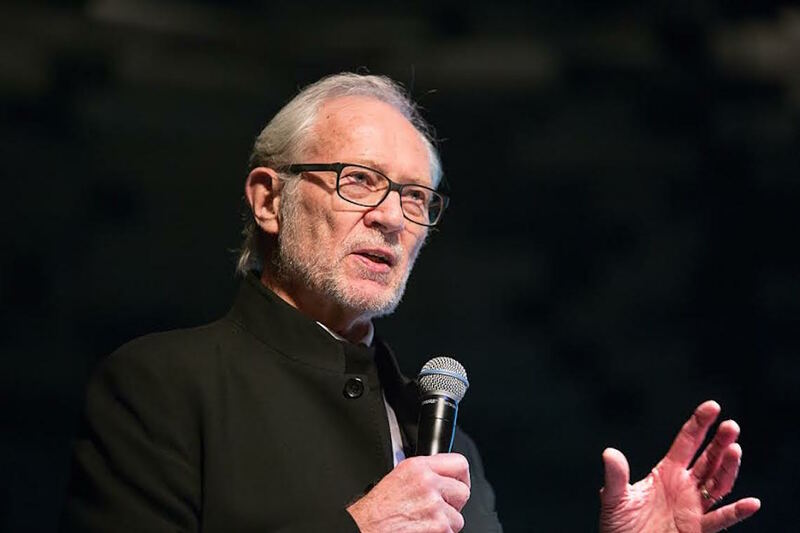 In addition to the Helsinki-Vantaa International Airport, his resume consists of buildings such as Wuxi Grand Theatre and Strait Culture and Art Centre in Fuzhou China. PES-Architects has an office in Helsinki and in Shanghai. Why China? 11 years ago, I travelled to China in the search of natural granite stones for Helsinki-Vantaa International Airport. That’s how our story with China started. We have had offices also in Germany and in Croatia, China seemed like the next natural step for us. For architects, China is a wonderland: there are the biggest and the most important challenges to accomplish and international competitions to attend to. China is a country where wonderful things can happen, but not easily. You need to be willing to work persistently and really hard, most importantly, to be there as much as possible. What kind of challenges did you face when opening your business in China? Actually opening a sister company in China solved many of our previous challenges. The Chinese office helped us a lot with locality: for example there are some architecture competitions that you can attend only as a Chinese company and having a Chinese architect breaks down those language barriers. Of course, we thought long about taking such a big step forward but as things turned out really good, I have no regrets. Which of your China-based projects are most important to you? 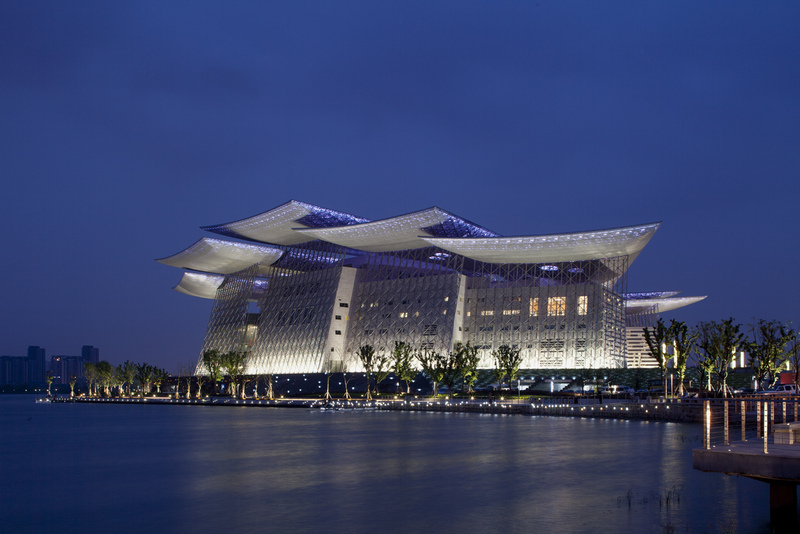 The Wuxi Grand Theatre located on a man-made peninsula of Wu-Li Lake, south of Wuxi centre city. The cultural complex contains a wide variety of functions, but most noticeably it houses the 1680 seat Grand Theatre for classical and Chinese opera, ballet, and symphony orchestral music. Another important building is Strait Culture and Art Center, I call it as the “cultural shopping mall”, in Fuzhou. 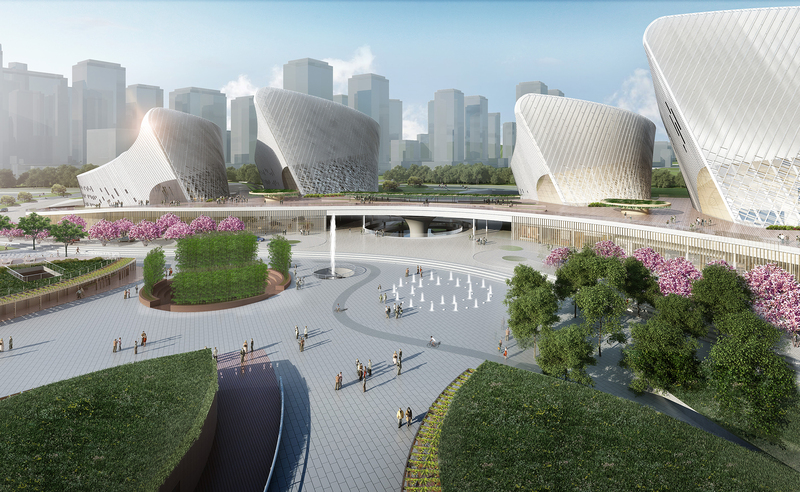 The buildings resemble the petals of a jasmine blossom, the city flower of Fuzhou. It’s a place for all kinds of cultural activities from a multifunctional theater to an art exhibition building. The third building I would like to mention is The Icon Yunduan tower designed by my partner Tuomas Silvennoinen and located in a new high-tech district on the outskirts of Chengdu City. The design concept was to create an icon with a basic recognisable form. The 192m high, building with 47 floors resembles a “bamboo mountain”. How is Finnish architecture appreciated in China? Scandinavian architecture is highly valued in China. Especially Finnish architects are known for being trustworthy and innovative among local professionals. Smart and user friendly solutions in building are typical characteristics for Finnish architecture. In China, you can see that some values are upside down to our way of doing things: The Chinese buyer asks first about the looks of a building, then the price and finally the functionality. 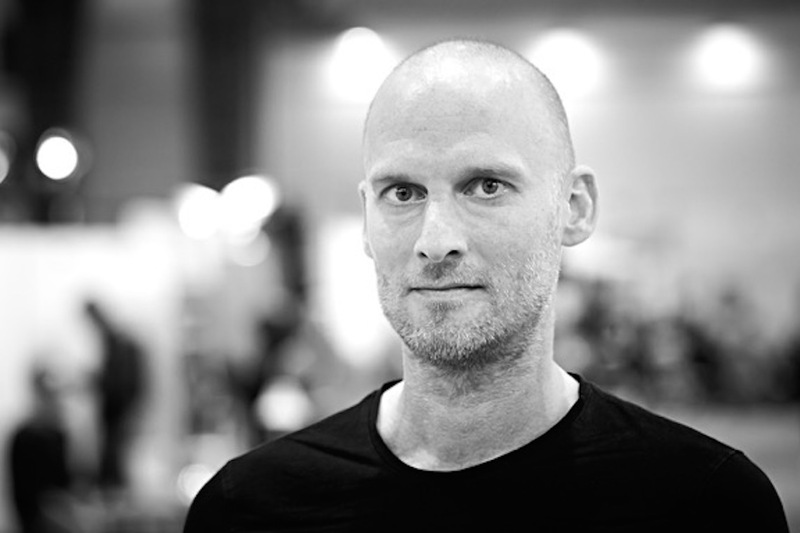 Joerg Suermann is Executive Creative Director of FOUNDRY Berlin, branding and marketing agency or inspiring business as he prefers to put it. This man is also the father of DMY International Design Festival, but decided last year that the child had grown enough to make it in the world without him. Facing new projects and challenges, Joerg Suermann feels happy, as did we at EARS when he found the time to talk about his Asia experiences with us. You are the founder of DMY International Design Festival in Berlin. How did that all start? It’s funny, actually in 2003 I had this idea of promoting myself as a designer, not building a global designer platform. The plan was to find clients and working opportunities in Berlin by throwing open studio parties to my friends, other designers and creative industry influencers. In 10 years it grew into something else. And I’m happy it did. Last year I made the decision to leave DMY as I felt the child was big enough. I was the father who was always concerned about my baby and brand needs changes. DMY is all about young designers and young audience, which I felt wasn’t me anymore. I always want to build something new and by leaving DMY behind I felt open for new possibilities again. What are you working on with FOUNDRY Berlin at the moment? These past weeks, I have been working with a new bike brand from China starting their business in Europe. Asian like European brands, many Chinese companies make their first steps in Europe and then go back in Asia to triumph. After establishing their brand in Europe they can make more sales in Asia. What kind of projects have you realized in Asia? We have done a lot of projects in Asia since 2006; 5 to 10 exhibitions every year from Tokyo to Singapore mostly promoting German designers. The reception has always been quite good; the people in Asia are open for design and inspiration, but it’s very difficult to sell the products. The understanding for design costing money is not yet in the same level as it is in Europe. But Asia is changing; nowadays people have more money and they are starting to invest in fashion, art and design. What would be your 3 tips for creative company establishing business in Asia? 1. Start first in some other market than in Asia, like in Europe or US. If your product is already in the market, the Asian factors are not so fast to copy it. Get the pictures and descriptions out making your product unavailable for stealing. 3. Find legal support. Asian business mentality is really hard to understand without legal guidance. A good Asian company won’t ever pay 100 % of the price asked. If you know this, it’s not a problem. I always charge 120 % price from Asian buyers. That way, when in the negotiation price will get to 80 % I won’t lose money. I also make the business partner feel good and respected. In your view, how do European and Asian design interact? German design is very basic and functional. Asian design is more playful and focused on details. Also the mentality is very different: in Europe we live in a culture where we learn to ask and criticize finding new ways of design and innovation that way. In Asia it’s not like that. The way to create is by copying honouring the master by doing that. European industry doesn’t approve this copy culture. It’s totally another way of designing, which is important to know and understand. We need to think that they like and respect design so much that they want to make it even better. What’s the most interesting Asian country for creative industries at the moment? China! Chinese market is so huge and they need so many things, it’s a paradise for designers. China has money and factors which makes it a strong place for creative industries. The Chinese government just launched a major project for the next 5 years including a lot of investments in the creative industries. They are in the position where they can buy all the knowledge they want for creative innovations. How you see the development of Europe-Asia collaborations in the creative field? Asians buy knowledge more and more from Europeans using it in educating their own people. It is very hard for Western people to blend into Asian culture, there is always going to be a certain distance. This is a problem if we don’t know how to cooperate with Asia the right way. One third of world’s population lives in Asia so it is important to think what we want out of these collaborations. How can we continue staying in our position and where we want to go. If it’s the right direction, Asia will follow. What inspires you at the moment? I think there’s a lot of potential in social design developing new models, strategies and products that can play a decisive role in the development and transformation of society. We have more and more people in the world so it’s essential to save resources and not necessarily buy everything new. That is what Asia needs also. What would you like everyone to know about Asia? You have to know that people are very respectful in a formal way. They have amazing food. They can not say no: they say yes, but you have to know what it means. If someone says to you “yes yes it’s coming” don’t wait for it, go for it. EARS – Europe-Asia Roundtable Sessions is a platform focusing on creative industry collaboration between Europe and Asia. The next EARS event will be held in Helsinki, August 27-30, showcasing the latest trends from Asia in the fields of design, music, performing arts, literature, marketing and media. 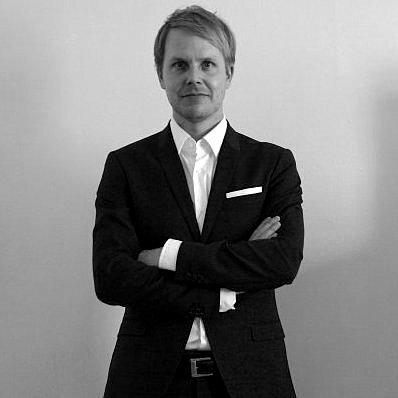 Toni-Matti Karjalainen is working as Academy Research Fellow at the Aalto University School of Business. 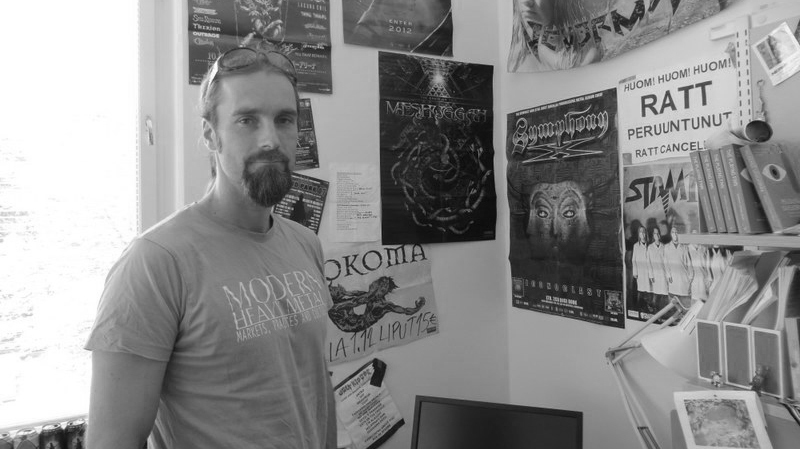 At the moment he is doing a five-year research project focusing on trade of cultural narratives in the rock music industry. EARS got the chance to meet the guy and talk about those cultural narratives and academic collaborations between Europe and Asia. What is your academic history and what has Asia got to do with it? 15 years ago I was writing my Master’s thesis for Nissan. That’s how it all really started with Japan. Afterwords I have done collaboration projects with Japanese companies, one-way research projects, researcher exchanges between universities, lectures at Kyoto Institute of Technology and various institutes in Tokyo. For years now I have been also lecturing and collaborating with South Korean Universities and companies. At some point my personal interest towards music also became the topic of my research. What cultural narratives are present in the rock music industry? Finland has a positive reputation in Japan. In the Japanese music industry, Finland is the key word of getting the attention from local consumers: Finnish music has its roots deep in our original culture, which is interesting and exotic in Japan. Especially heavy metal fans know Finland as a small home country of various metal bands. These bands are representing the whole Finnish culture when touring in Japan: I’ve witnessed a heavy metal guitarist sign a Moomin troll and answer fans questions about the latest Marimekko‘s print pattern. I see this as a sign of wide interest towards Finnish culture, but also about open mindedness of Japanese consumers who don’t feel the need to categorize culture as design, music and Moomins. They take it all in and embrace it. What kind of experiences do you have with collaboration with Asian universities? Mostly my experiences have been good: the collaborations have been carried out with good spirit and mutual satisfaction. Japanese universities vary from Finnish ones in educational, operational and scientific principles. This makes some academic collaborations more difficult than others. The cultural barrier is the biggest factor, language another one. By learning some Japanese you already make a big impression on local partners. Differences in research are also clear: in Finland research results go deeper and are wider as in Asia, the results are concrete and easier to interpret. What kind of collaborations would you like to do in the future between Europe and Asia in the cultural and academic fields? I see Universities as great contact networks and impartial embassies between different countries and operatives. Their neutral approach makes universities perfect collaboration partners in various projects. For example, Aalto University has a Design Factory in Shanghai. If I’d meet a Finnish designer interested in starting a business in China, I would advise to contact Design Factory to get guidance on Shanghai’s design field. In the future, I would like to see more cross art projects in Japan with Finnish culture as the main topic. Surprising combinations and creative madness interest Japanese whose local culture limits people’s creative way of thinking. Finnish art could be seen as an escape from the bureaucratic society. More information about Toni-Matti Karjalainen on his website. EARS – Europe-Asia Roundtable Sessions is a platform focusing on creative industry collaboration between Europe and Asia. The next EARS event will be held in Helsinki, August 27-30, showcasing the latest developments from the fields of design, music, performing arts, literature, marketing and media. Pirjetta Mulari, International Affairs’ Manager of Dance Info Finland has been working with internationalizing Finnish dance for over a decade. She told EARS all that’s essential in international networking and the Asian market for dance. Why is it important to internationalize Finnish dance? Where are export aims primarily directed to? The Finnish market for dance is really small. For dancers and choreographers, it’s natural to go and work abroad as dance is inherently international for its nature. For Finnish dance, the most likely international networks lie in other Nordic countries and the rest of Europe. We also have great relations in Asia, especially Japan, Korea and China. At the moment East is clearly the right direction; artistically we share same values such as the importance of nature and education. In what ways does Dance Info Finland aim to internationalize Finnish dance? We build networks for long-term collaborations through residence programs, professional visits, networking events, collaboration performances, for example. We also invest in research of demand and interest for dance on an international level. It’s necessary to know who is who, where the vibrant markets are and what are the collaboration possibilities. Then the work is simply creating contacts and maintaining them. Building international networks is a long process and there is no easy way out. When talking about internationalizing performing arts, I would rather use the word collaboration instead of export. The codes of conduct from business don’t apply to arts as they would to some other industry. It’s all about people working together for a common goal. 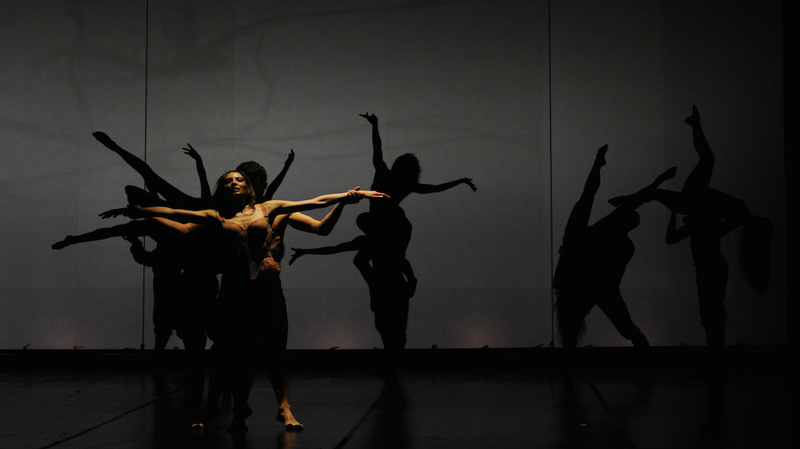 Which Asian country has an especially vivid field for dance art? I wouldn’t specify that to only one as many Asian countries are growing as new centers of dance. Newcomers such as Vietnam and Cambodia are starting to have more and more dance artists. Of course China is an enormous country with endless possibilities. South Korea has around 55 universities where one can study a masters degree in dance, that tells a lot about the country. Is Finnish dance appreciated abroad? Yes. We have a versatile scene and not only a single pattern of doing things. Finnish dance is firmly rooted into our original and “exotic” country, which interests people. We have our own special sense of dark humor that can be seen in performances. There is a certain melancholy and deepness about Finnish dance. The use of space is something very original, since in Finland we have lots of space around us. Bringing that feeling of space to cities like Beijing creates an interesting confrontation. Art education in Finland also allows for instance lighting and sound design grow as their own art forms. What are the key steps for success in international markets of dance? Focusing on doing your own thing and believing in it , the drive for internationalizing your own art and the ability to take risks. As an artist, you cannot only rely on the producer to do the networking and build your image. It is extremely important to have the state of mind of promoting yourself. It’s not an easy path, and it takes a long time to get recognized internationally. How would you describe the European and Asian audience for dance? In bigger cities, the competition for target audiences is very intense. Compared to Asia, Europe has longer traditions with contemporary performing arts. Europeans grow into contemporary art as in Asia the traditional art forms are more familiar to audiences. That can make Asian audiences more conservative, but I wouldn’t generalize this either. One can also see differences between Asian countries. My observation is that in China audiences are more restless than in Japan where the audience is filled with total silence. In some places, censorship and liberty of speech narrow down possibilities to perform acts that in Finland would not be seen as tabus. What can Finnish dance learn for Asian professionals? Attitude! In many countries, there is no financial support system for dance but still there are beautiful, inspiring productions made out of determination and passion. Cheung Fai has 30 global years experience in the performing arts, cultural industry and media/marketing. At the moment he is working as an Artistic Advisor and Curator of Helsinki Festival 2015 Focus China. EARS interviewed the EARS on Helsinki 2015 speaker about his ongoing production in Helsinki. You’re attending EARS on Helsinki for the second time in August. What has happened since we saw you the last time? I am now working with the Helsinki Festival China focus. Inside China focus I am curating a special event with young artists called 25 x 25, standing for 25 hours of various non-stop performances by Chinese artists under the age of 25. That is my main project at the moment but I have also been doing other festivals in China during this past year. 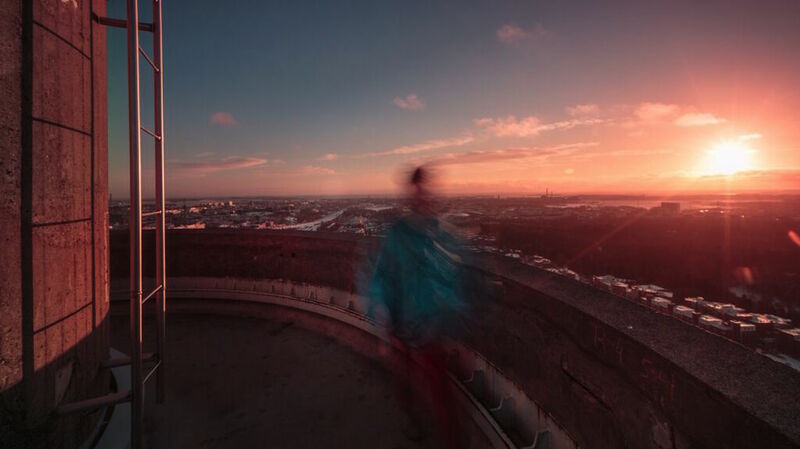 Could you tell us how this collaboration with Helsinki Festival started? Actually, I met Erik, the artistic director of Helsinki Festival last year during EARS. We talked about the China focus program and both thought there was a need to have different younger Chinese artists presenting what they are doing and thinking. So I curated this project with more than 12 young artists from the fields of theatre, music, dance, visual arts and media. Some of them are not professional artists but students or they do other things at the same time. They create art in different ways than others, even professional artists in their fields. As they are so young, they have a different perspective of seeing, understanding and presenting the world through their art. They are fresh artists with new ideas. The original creativity is there, you can see the sparkle. Who are the young artists coming to Helsinki? and built a monolog based on those statements. We also have a musician interested in interactive sound art. There is also going to be two artistic groups trying to find different ways to express art; they are part of a project that can be seen as an artwork or a social study but that doesn’t change the content, the love and the interest for powerful insight. These are some of the artists performing at 25 x 25 in August. Does the new generation and their work differ somehow from what we have seen before? They don’t have a historical or even professional burden on their shoulders. China is comparably new to the contemporary artistic culture. In many ways the Chinese traditions and western traditions are burden to more professional artists who might be trained to think according to certain traditions. They can feel chained. Young artists don’t care about the traditions from East or West. They are trying to find the creativity from themselves, from their imagination and from their own lives, not from the academy or their teachers. They are more fresh and willing to break free from some of the definitions of different forms of art. From many artists you can not really say she is a dancer or a theater person, they cross boundaries. They have more freedom in their works and in their lives. They are more themselves as individuals and braver to take risks without being afraid of failure. I think they are the future. What is best about EARS? Roundtables! Talking is important to everyone; for people in business, art and media. You have to have people talking to each other before anything good can really happen between them. For the relations between Europe and Asia, talking is essential; the world is evolving and changing every day. We need people to meet each other and talk to each other face to face, have them ask questions and that way find real understanding. This form of roundtables brings different people from different countries and industries together to talk, that is the beginning of every possibility. EARS asked Anssi Komulainen, Head of Partnerships of Finnish Broadcasting Company Yle, to tell his views and expectations for EARS on Helsinki 2015, and the opportunities the event beholds. Why is Pasila Studios the best place for EARS on Helsinki? It’s the hottest platform for creative operations and encounters in the capital area of Finland, located in upcoming urban district, which is planned to be Helsinki’s second city center in 2020. 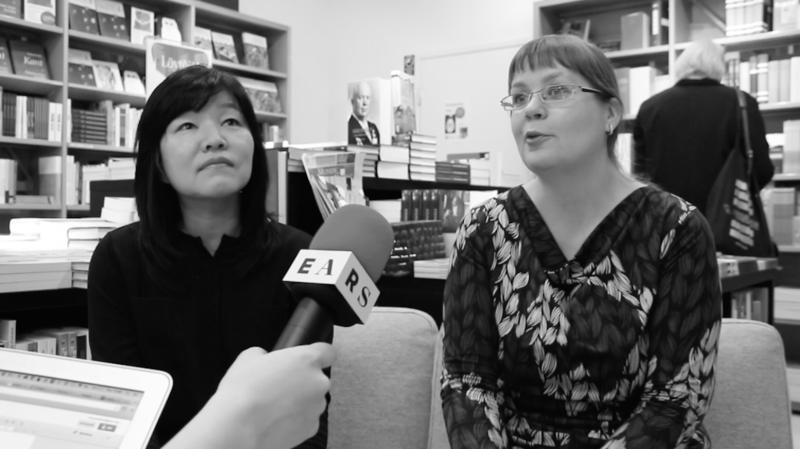 What are you looking forward to the most about EARS on Helsinki 2015? I’m waiting to get to talk, meet and innovate with Asia’s creative professionals and that way, build concrete collaborations and business opportunities between East and West. The differences of the European and Asian media fields bring incredible opportunities to build new and interesting things. Where do you see the greatest opportunities for collaborations between Finnish and Asian media fields? In education and children. Asia is a continent where investing in youth and children is seen as a very important matter. Finland is a pioneer in equality and education. I think these values form a great foundation for future collaborations. South Korea based TV-celebrity and entrepreneur, Finnish Taru Salminen visited Helsinki and talked to EARS about what it’s like to work in the field of media in a totally different culture. Taru, how did you end up in South Korea? By accident! When I was in High School I had many penpals from South Korea as I wanted to improve my English skills. Through those connections I developed an interest towards the Korean language which I ended up studying for some years at the University of Helsinki. During my studies, I did an university exchange to South Korea and fell in love with the country immediately: incredibly nice people, beautiful mountains, ocean, sun, and delicious food! After returning to Finland I knew I had to find a way to move to South Korea for a longer period of time. And so I did! I ended up in a popular Korean conversational TV-show as one of the panelists and started to get more job offers from different fields of media. How is your life in Seoul? My life in Seoul is very hectic! I have many ongoing projects all the time, such as radio shows, TV programs, translation projects, my own restaurant and everything else you could imagine. In general people in Korea are very active: working long hours is normal and as in Finland, the working ethics are good. What kind of cultural differences have you faced as a Finn in South Korea, especially working in media and the cultural field? In Korea, working in media there are some topics that are absolute tabus. For example, the language that one uses in television is totally different from everyday life. As Korea used to be ruled by Japan many Korean words come from Japanese origin. Those words are banned in media and substituents are created to very commonly used everyday words. I have also understood that being a TV person in Korea is very different from Finland. In South Korea moral codes are really strict: as a reporter you cannot cause a scandal with your personal life and still appear regularly in media. After scandals such as gambling or divorce, people disappear from TV for 5 to 10 years. Different kinds of opportunities. Between Europe and Asia there are plenty of chances to build new collaborations. For example, at the moment I’m helping a new Finnish startup to establish their place in South Korean markets. In addition, I’m translating books and working on different cultural exchange projects. There are a lot of things to get inspiration from. I’d say I’m living a very interesting phase in my life right now. 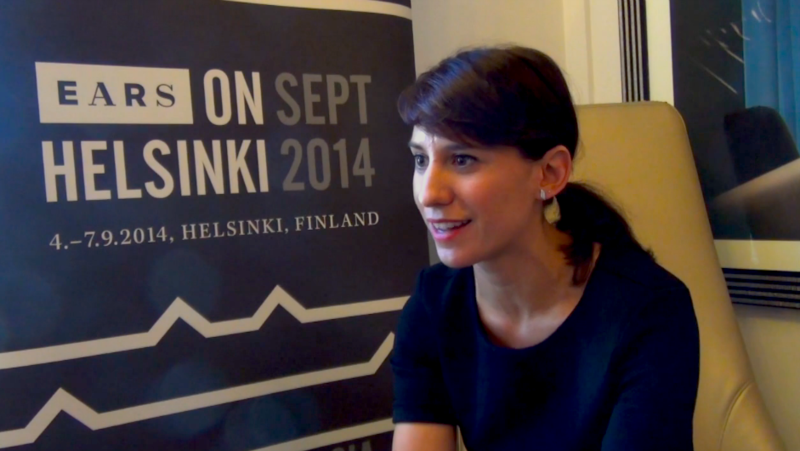 Taru Salminen will give a keynote speech at EARS on Helsinki, register now to save your seat! The collaboration between South Korea’s award winning author Kyung-sook Shin and the country’s most famous Finn, Taru Salminen, kicked off at Taru’s Seoul-based restaurant. Dialogue over food expanded to a literature collaboration, and there’s more to come. Please look after mother is the first South Korean book published in Finnish. How did it all come about? Kyong-sook: The book was first published outside of South Korea in English for the US markets. After success in the States, European agents took interest in the book and slowly but steady the recognizability reached Finland. I’ve only heard positive feedback about the novel from Finnish readers but I actually had no idea that it is the first Korean book translated into Finnish. What a happy surprise! Our collaboration with Taru started when the president of the Finland- Republic of Korea Association recommended Please take care of mother to the Embassy of Finland in Seoul. He thought it would be great idea to publish the book in Finnish. The embassy contacted Taru, and we kicked off our collaboration at her restaurant in Seoul. Taru: As the author and the translator, we’ve been in contact throughout the project: in the translation process you have to think about cultural differences. For example, names of South Korean cuisine and some elements of the spiritual life needed to be explained a bit more thoroughly in Finnish. For Koreans, it is natural to think about passing on to the next reality from another, but for Finns existence is more simple. 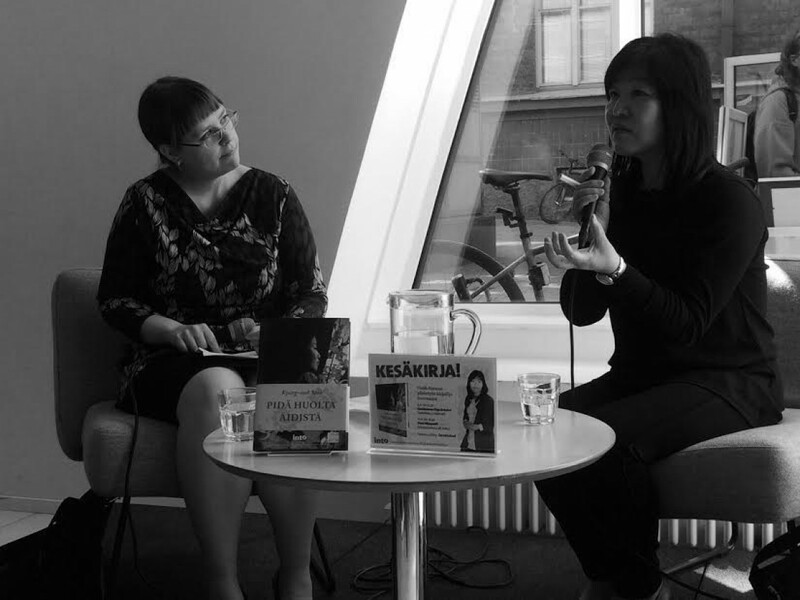 How do you see the future of literature in South-Korea and Finland? Kyong-sook: The situation is changing in Asia as it is in Europe also. Traditional books are not selling as much as people are finding easier accesses to written word by new medias. The general interest for literature has not decreased and its status in South Korean culture is still very strong. The two countries have more in common than one could realize: like Finland, also South Korea has been dominated by other nations and is building up self confidence as a country. South Korean literature is experiencing a new awakening; under the years of dictature writers most important task was to rebel against the current situation in the country. Today authors have different voices and topics are more diverse. Such subjects as spiritual life and death used to be tabus, but I’m very happy about the advancements we’ve seen. What does Europe-Asia collaboration mean to you? Kyung-sook: I feel like Asia is seen by many Europeans as a big blur of similar cultures and languages. Many people don’t realise the diversity of Asian countries. On the other hand in Asia people are very interested in Europe and it is easy to specify differences between distinct parts of the continent. I’d like to see Europeans taking the first step towards Asia for a change: showing general interest and proposing collaborations. Taru: I believe collaboration between Asia and Europe enriches both parties. I hope that through different cooperations people would learn from different ways of thinking, also learn to appreciate our variety as humans. When taking things to a practical level, I would like to see new media collaborations made about dialogue between Asia and Europe. What are your collaboration plans for the future? Kyung-sook: We’re very excited about a new project, which involves a new novel I’ve been working on for the past 3 months. I’d like to publish more books in Finnish so I hope that the first one turns out to be a success here so that we can continue the good work. We’ll see – it’s a dialogue between two cultures. More stories and opportunities for Europe-Asia collaboration in the creative industries at EARS on Helsinki 2015. VICE is a global youth media company that includes an online television network, print magazine, film, TV and book production divisions, record label, and digital advertising agency. In 2013, VICE opened a fully localized, Chinese-language branch in China. Since the launch vice.cn has had 100 million page views. 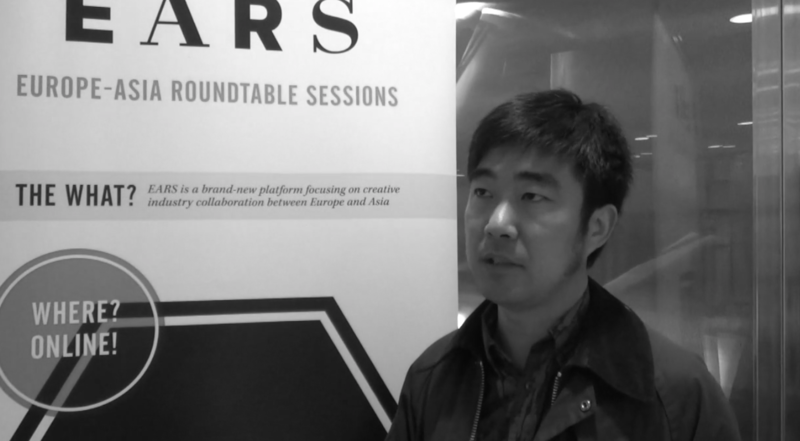 EARS got insight into Chinese youth culture and the success of VICE in the country from Meng Jinhui, Head of VICE China. Please tell us about your background, what did do before VICE China? Before VICE China, I worked for Modern Sky Entertainment. I was a label manager and worked with founding. We for example started the company’s music festivals. After working with Modern Sky for six years, which is quite a long time, I started looking for something more culturally large-scaled. I got to know VICE and it felt like a perfect time for me to start a new thing, a media platform to examine youth culture. How has VICE been received in China? Very well. The key factor is that the team we have in Beijing consists mostly of local young people. They know what kind of things Chinese young people like so they know what kind of content we should produce. Especially all the local content that we have produced so far has been very popular both locally and internationally. Internationally, it’s very hard to find another media platform that shows this kind of real and versatile content on youth culture in China. So it’s been really good so far! I don’t think that there’s any other international media company like VICE that has come to China and has been able to build such a huge group of followers in such a short time. Have VICE faced any challenges in China? The only challenge for VICE is that China is a huge, complex country. All different parts of China have their own local culture. Young people in all cities and in the countryside all behave differently. So even though China is one country, you’re need to learn about different parts of China. For a media company it means that if you want to tell a story about Chinese youth, you really have to go different places to meet and talk with the local people. You need to see what they look like, what they do and how they react to the rest of the world. What can you tell about youth culture in China? The whole of China is changing very fast and it’s same thing with youth culture. In China, we talk a lot about what Chinese young people do and what they are interested in. Right now young people’s consuming power is getting bigger and bigger, they have money to spend on music, fashion and travelling. Nowadays, young Chinese travel around the world. Do you think that there’s a lot of differences between the VICE followers in China compared to the western world? Basically for VICE as a digital company there’s only two different nations: one is online and the other is offline. When you get online, you get to talk to the whole world. Young people share the same information. They have a very similar way of thinking and they are into all kinds of interesting things. Often when people talk about China, they see China as a totally different world. Of course culturally there’s a huge difference between the Western and Eastern culture but I don’t see that much difference in it as a country. The whole country has been open for a long time and especially the level of internationality has changed really fast. In VICE China we’re really excited to show to the rest of the world what Chinese young people are like. I believe that people know quite much about China but they don’t know that much about young Chinese. Can you briefly tell us about the Creators Project by VICE? The Creators Project is a media platform for arts and technology. It was founded by VICE and Intel. So far we have featured over 2000 artist all over the world like designers, filmmakers, musicians – all kinds of different people from creative industry. We for example have documentaries for audience to see the stories behind of creation. We also produce daily editorial content to show the most exciting creative scene of the world. How do you see the development of creative industries in China? China is a developing country and the creative industries are still in the very beginning. Nowadays you can see more and more local designers going to international markets and Chinese bands touring outside China. Before Chinese people got inspired by Western culture, fashion and design but now they’re trying to find their own identity. They are trying to establish their own stuff, which is a really good thing! The creative industries are in the very beginning but you can see that it will explode soon. Will be exciting to see what the future brings! Dutch native Esther Muñoz Grootveld broadened her scope to China in 2011 and is now the Brand Consulting Manager at Shanghai-based design agency COORDINATION ASIA. Besides her day job, Esther is an independent creative consultant. Her most recent project, the online sustainable fashion initiative The Dotted Suit Project, was launched in July 2014. EARS has a chat with Esther about fashion branding in China and the country’s luxury goods market. I’m Esther Muñoz Grootveld and I’m Dutch but based in Shanghai since a little bit more than three years now. I work in Shanghai as a consultant specialized in design and fashion. You are the Project and Brand Consulting Manager at design agency COORDINATION ASIA. What kinds of thing you are working with? At COORDINATION ASIA I’m mostly consulting on space design and branding for museums, retail clients and brands. They either already are in the Chinese market or want to set up a cultural or retail space and need advice on branding, design and communication. Coordination Asia is basically my day job and besides that I’m a freelance consultant. My freelance work is more focused on fashion because that’s where my background is. I consult designers coming from European countries to the Asian market or other way around. What do you think are the main qualities of success in the fashion industry? For now, it’s very important to have a very strong story. I think that before people differentiated themselves either through design or the concept. Of course you have to have high quality materials and design, you have to have a good business plan but also your story needs to be on spot. So when you look at how you set yourself out in the market, you really have to think why is your brand story original and how is it related to your product. And all together, it needs to be authentic. People need to believe your story because there’s so much to choose from, especially in fashion, and especially in Asia. What makes a great fashion brand for you? For me a good fashion brand brings timeless products that do not necessarily follow flows of fashion. I like brands and products that you buy and keep for a long time, products that tells a story and are produced in responsibly way. How would you compare European and Chinese fashion consumers? I think that European consumers have kind of evolved beyond the story and are really focusing on sustainability, ecological and responsible producing – honest, maybe even like handmade style products. In China, people are still really focusing on the story. In Europe, we have turned our mind-set to a little bit towards honest products but in China it’s more about honest stories. When looking at the fashion products authenticity, honesty and uniqueness are what we have in common. But maybe in Europe, the way the product is produced, that you know it’s real and good is a little bit more important than in China. You have talked about the new luxury in China. What do you mean by that? I’ve only been in China for three to four years but in this short time I’ve seen how quickly the market changes. Something like 10 years ago, fashion consumers in China looked towards the west for inspiration. Most people didn’t have means to buy big labels so they were buying cheaper, maybe not that well-designed and well-produced products. Now when the wealth and taste of fashion in China are increasing, people started to think that wearing brands like Gucci, Prada, Louis Vuitton means expressing that you’re moving up. But slowly I think it’s changing and Chinese fashion consumers are moving towards understanding that they can actually use fashion to express their own unique identity, not just to label themselves as well-offs. This is where the new luxury comes in. People are looking for products that really express their unique culture identity and that they have evolved taste. They have money to spend but they are picky about where they spend it on. They are looking for unique products that nobody has in the market where you can get everything, copied or non-copied. In China, it’s really challenging to find something unique that nobody else has. The fashion pioneers in China are looking for those products: unique, maybe even China designed, one-off products that they can show to their friends and say “I’m unique cause I’m wearing this”. This is what I called “the new luxury”. What’s your vision on upcoming trends in the fashion business? I just met a Finnish designer called Satu Maaranen and I was very impressed by her. One of reasons was that she has a very interesting vision on her role as a designer. She doesn’t necessarily want to start her own brand. She just sees herself as somebody with a vision of fashion and who is interested in textiles and patters. She’s a craftswoman but also a businesswoman. This is interesting because when I was working in the Netherlands and speaking with young fashion designers, I remember that everybody wanted to be a new Versace. They came out from school and wanted to have a store with their name above it. Meaning of being a fashion designer was having your name on a label. My vision is that as a designer your role is to make creative solutions using your skills. Satu is a very nice example of a new fashion designer who uses her skills as a fashion professional but also looks into interior and art. She’s kind of a hybrid and I think this is where the fashion business is going in the future. Sometimes the design disciplines, especially in fashion, kind of close themselves in their own world. My personal hope is that the fashion circles will open up and start collaborating more with architects, designers, technologists and whatever may come along. What inspires you most at the moment? Travelling and talking to different people inspires me most in general. I try to move around all the time and living in a city like Shanghai has a big advance because people come in all the time. What really shapes my vision and inspires me on design and also in life in general is talking to people living in different cities. That just brings new ideas. I would advice everybody to travel and definitely come to China!